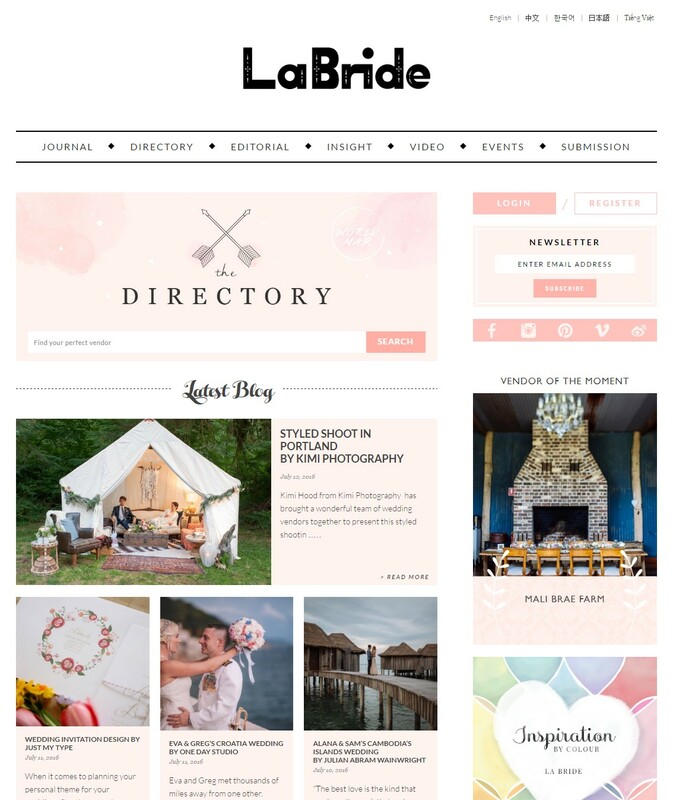 We are very happy to announce our Boho theme bridal shoot is published by La Bride. La Bride is a world wide Bridal blog based in Australia. Starting in the last few years, Portland is becoming a popular place for Japanese travelers. Since Kimi is from Japan, we are getting more questions about bridal shoot and wedding photography by Japanese travelers. We made a homepage for Japanese speaking couples. Portland local vendors got together and created this wedding style shoot. Since Portland is well-known with many artists and being a DIY city, we corroborate with Portland local vendors, so our Japanese couples can experience the Portlander’s inspirations and interest in coming to Portland for honeymoon with wedding photography. Also, we provide wedding photography service to Oregon residence in Oregon. We know great places for amazing views and the best photo locations and timing! Portland Japanese Wedding by Kimi Photogrpahy will capture your bridal shoot and wedding photography uniquely and make your Portland trip unforgettable.